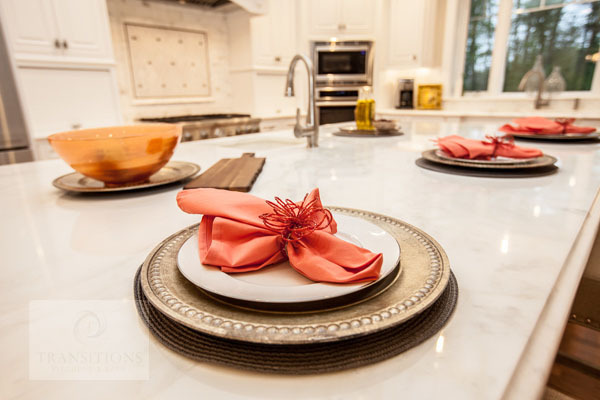 Kitchen design solutions from Transitions will make your kitchen the center of attention! The kitchen is the heart of the home, and should reflect the needs of your family as well as your personal style. We will work with you to create a space where meals are easily prepared, children can do homework, and friends will gather to share a glass of wine and talk. 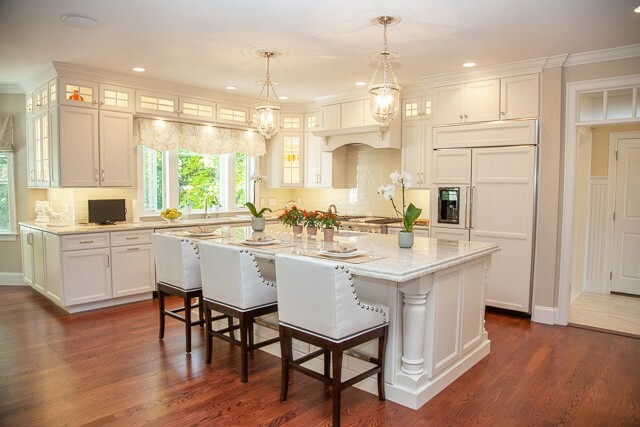 Most importantly, your newly remodeled kitchen will bring back a fading tradition: the family dinner. 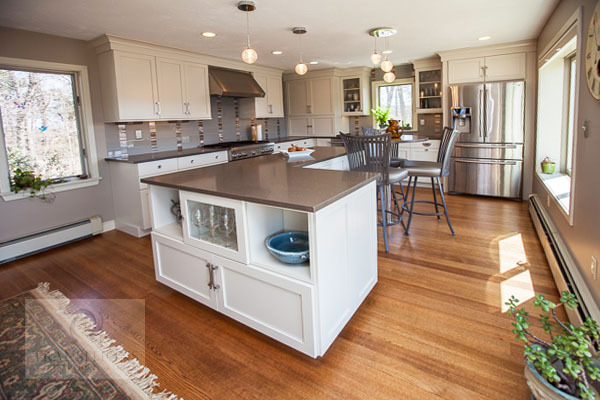 Kitchen design starts by laying out the space to meet your requirements. The kitchen layout will take into account the existing footprint, but may also include opening walls, combining spaces, and adding a small addition to make room for new features. 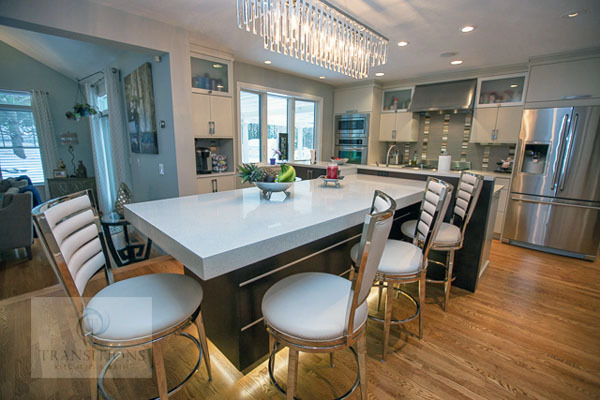 There are many details to consider in a kitchen renovation, from kitchen cabinets to appliances to lighting, and so much more. Our designers will assist you in weighing the options and in coming up with creative designs to make your space suit your needs. We work with you to select the perfect materials and products to fit your design, style, and budget.